Writing isn’t rocket science, except for when it comes to my stymied brain. Yes, I program software systems that run multi-million businesses and some consider me a computer geek. But creating an online presence using Facebook or Twitter, or starting my own blog for marketing purposes, scared me to death! What if I did it wrong? What if I put all this work into it, and no one made a comment? Plus, how does having a blog on gardening bring in possible sales for an inspirational romance novel that had little or nothing to do with gardening? Except, perhaps, for the garden scenes I built into my story world. I read books on marketing. I looked online and even talked to others who explained it in very simple terms, but I still didn’t get it. Or maybe I didn’t want to. I’ve seen the bad side of marketing where authors inundated Facebook and Twitter with post after post, vying for a reader’s attention. Although having an online presence is the way marketing works, and yes, you must be visible, I knew that type of strategy wasn’t for me. I wanted a marketing plan that was as subtle as the Energizer bunny. Do you remember those ads? A commercial starts, there is a woman turning on the water preparing to take a bath, bubbles rise from the water’s surface. Then out of nowhere comes the Energizer bunny, marching across the screen, beating his drum. From that point on, every commercial aired made the viewer wonder (unconsciously at least) . . . was this going to be a legitimate commercial or an Energizer bunny moment? The marketing scheme was perfect. Other than their original series of commercials, not one dollar was paid to other companies, yet because of the subtle intrusion into the normal commercial venue, you were thinking about their batteries every time a new commercial aired! Even if the company sold soap, tires, or lawn furniture. So, in my effort to understand the process, I pulled out the big guns…my son, who had to market himself to raise funds for his trip to Portugal when he represented the US in the International Six Days Enduro off-road motorcycle event. Another concern I had was I didn’t want to be the “dumb” commercial. I refuse to insult the intelligence of my tribe—or would-be tribe in this case. Just doing a blog on miscellaneous information (how I started), or on useless information, may get you some readers, but the key is to pull them in. Give them a reason for wanting to come back. People don’t have time to read something that will be of no help to them. Especially when there is a plethora of more useful blogs out there to read. 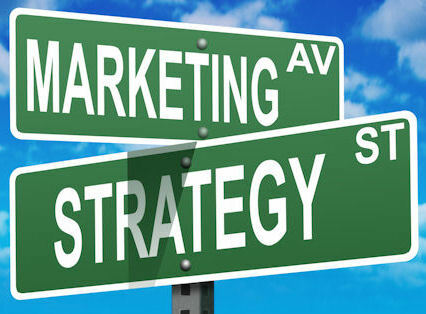 So what is marketing? It’s that sweet spot of taking something you are interested in and sharing it with others. As more people find that you are a valuable resource, your name becomes commonplace to them. Then when you have a product to sell—voila! You make a sale on your name alone. Because of your diligence, you will start with a small group willing to take a chance on you because they’ve learned to depend on the information you provide. As your name earns recognition, your influence broadens. For any of you who were baffled by the need for expanding into the world of marketing, as I was, I hope this helped! This entry was posted in Marketing and Promotion and tagged Jennie Atkins, marketing, Social Media by Jennie K Atkins. Bookmark the permalink. Jennie writes contemporary romance from her home outside of Carson City, Nevada. During the day she manages a team of software engineers. When not attached to her computer, Jennie loves to garden, sew, or go four-wheeling with her husband of almost forty years. Jennie has four children and three grandchildren.